We are always on the lookout for new members. To be eligible, you must live somewhere in our area and be a keen hillwalker or mountaineer with quality experience of the local hills. 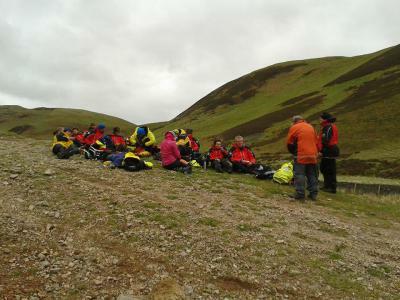 Excellent navigational skills are essential; specialist skills in areas such as searching, winter skills, first aid, communications and driving are all taught throughout a probationary period which normally takes around 12-13 months to complete. If you would like to join the team, you can apply by downloading and sending us this application form, or if you would like more information or wish to discuss your interest informally then please get in touch using the "Contact Us" form below.